Berries help prevent heart disease. A study that looked at 93,000 nurses over 18 years, found that the more deeply pigmented berries they consumed, the lower the risk of heart attacks. 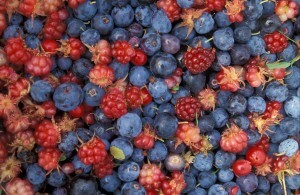 The magic number for blueberries, strawberries and raspberries seems to be about three servings per week. Even those women who were overweight, smoked, or suffered from diabetes had a reduction in their risk of heart attacks, when deeply pigmented berries were a significant part of their diet. But as expected, thin women who exercise regularly did even better than their sedentary and overweight counterparts. A low normal testosterone level may increase your risk of dying from a heart attack. 126 men who were admitted to the intensive care unit for fresh heart attacks had their testosterone levels evaluated. These men were then followed for the next 30 days to see how they did. 16 men died, and 110 men survived. However, 100% of the men who died had testosterone levels in the bottom 25 percentile of the normal range. Their testosterone was not low. In fact, it was within a range in which there are a few American doctors who would recommend testosterone supplementation, but everyone who died was within that low normal range. Once more, we have good evidence that being normal is not enough. Where you are within the normal range can make the difference in living and dying. As I keep saying, normal is not acceptable. Shoot for optimal.